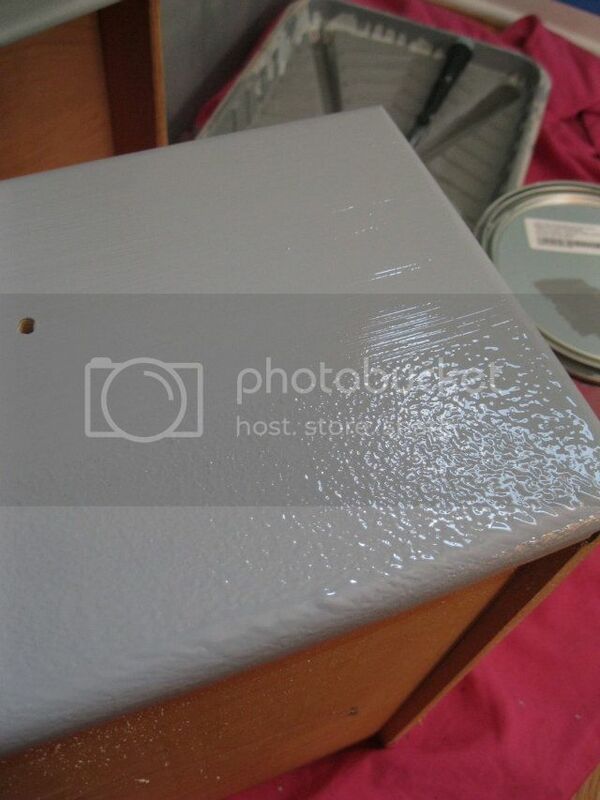 This past weekend, I only had one day off and I decided to finish all of the painting in the house…INCLUDING rehabbing a very unattractive dresser I bought at Goodwill for $4.99. Now, being the well-organized and sane person I am, I totally thought I had a “Before” picture of this dresser…turns out…I didn’t. So, you will have to use your imagination a little. Ok, ready?? 2) Before you start painting, make sure the surface of your piece is clean. I just wiped my dresser down with some soapy water and let it dry overnight. Also, take all drawer pulls or knobs (hardware) off at this point. 3) Take your item outside (or to an indoor workshop). 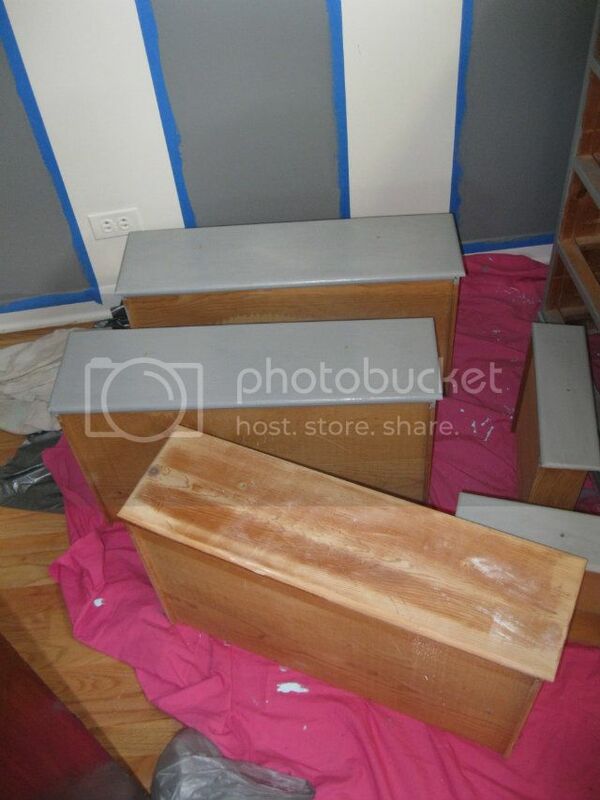 With your sander, begin sanding all of the areas you want to paint. My dresser was not heavily lacquered so I was able to get away with using a hand sander with 120 Medium grit sand paper from 3M. If your piece has a LOT of lacquer on it, you will want to get an electric sander. You can rent one from Lowe’s or Home Depot! You will want to sand your piece until you can see the natural wood color. When you’re done sanding, take a dry Swiffer sheet and wipe the excess dust from your piece of furniture! 4) Next, pick out your painting spot and lay out your tarp. Mix your paint and you can start! I really like to paint with a roller first just to get it covered and then go over it with a paint brush. It makes for cleaner looking coverage. 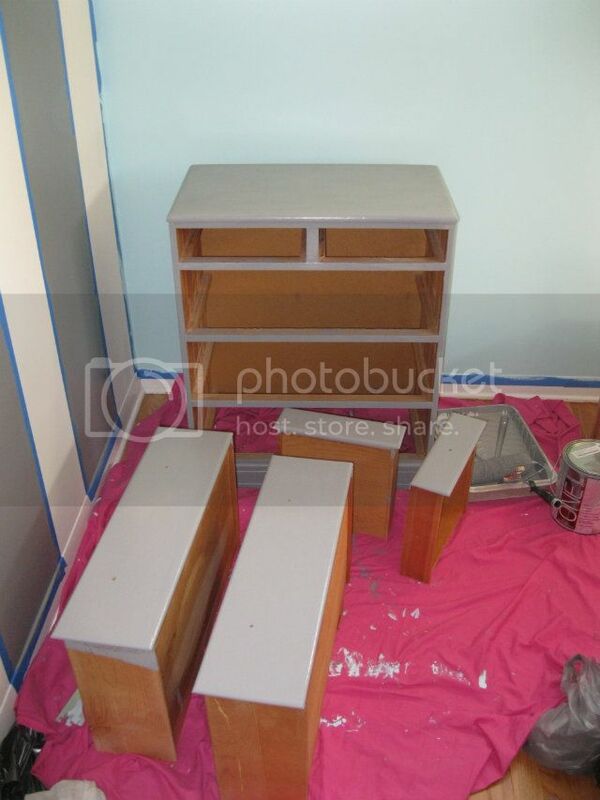 Let that dry and then paint on a second coat. 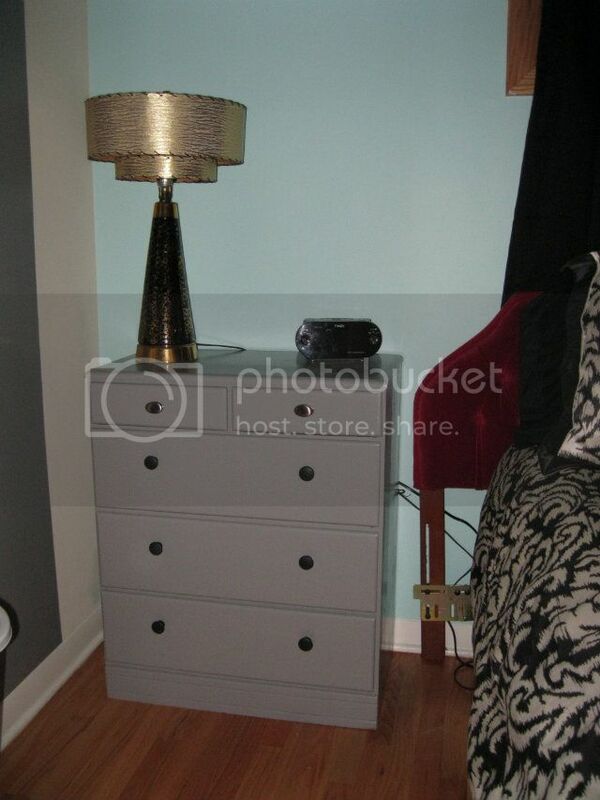 5) Once your piece is completely dry, you can then replace the hardware and…Voila! Admire your new and improved furniture!